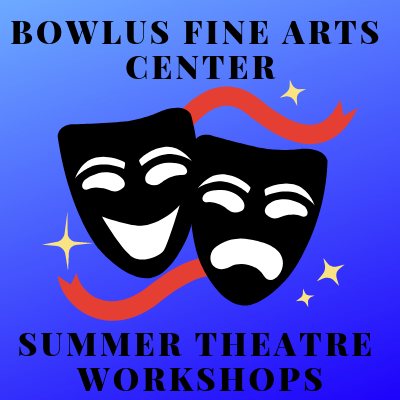 The Bowlus Fine Arts Center will offer two workshops in July for local and surrounding areas children to participate in. Children's Summer Theatre Workshop (CSTW) ~ July 8th - 19th with a performance on July 20th. Compass Creative Dramatics Theatre Summer Workshop ~ July 22nd - July 26th with a performance on July 27th. Click on the links for more detailed information on the programs.